Editorial Note: 2018 is a big election year, with important local contests and November midterms. This is the final post of a three-part series by Dawn Shirreffs, director of public affairs, helping voters better-understand the issues and how to make your voice heard. With the midterm elections less than a month away, you’ve likely already done your homework on the major races. You may know who you’re voting for in U.S. House and Senate races. Perhaps you’re set on the candidates for governor and commissioner of agriculture. If you’re still mulling over the dozen proposed constitutional amendments, we have you covered. But, beyond the federal and state races, you’ll also get to weigh in on local referendums that impact our community, making the November 6th ballot one of the longest in decades. 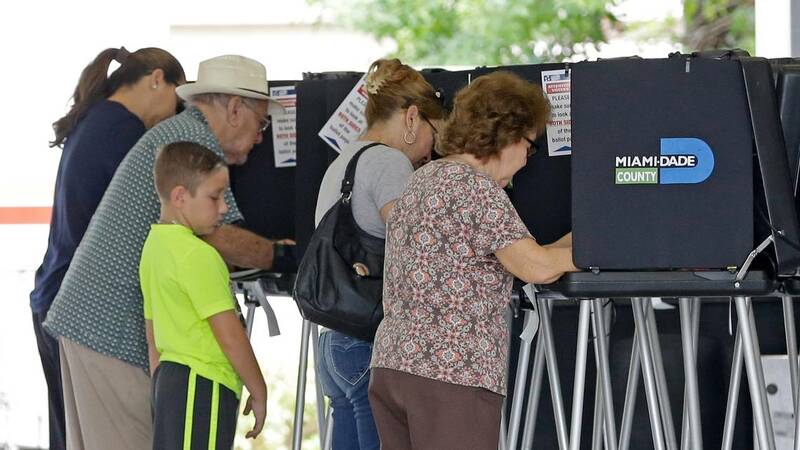 Doral residents will have a chance to improve their local parks by voting on a measure that would fund a $150 million bond for major renovations at city parks. The city of Doral has one of the lowest property tax rates in Miami-Dade County, but that means it also has less money for needs like parks and public services. The city council is now asking residents of the fastest-growing city in Florida to pay a little more so they can fund future parks projects. If approved, homeowners would pay about $130 a year for 30 years (depending on their home value), a large portion of which would go towards Doral Central Park to add a dog park, tennis and volleyball courts, playgrounds and a community center among other amenities. Bottom line: Supporters say this would increase green space in the city and allow for the development and maintenance of more parks. Those on the opposition say it’s a pretty expensive request considering the size of the city. Miami voters will decide on whether to change their form of government and move the city to what is known as a strong-mayor form of government. A number of major U.S. cities, such as San Francisco, New York City and Chicago, have a strong mayor form of government while other like Austin, Oakland and Las Vegas do not. Bottom line: Supporters say it would give more transparency and accountability to the position by making sure city departments report directly to the mayor and can implement his/her vision. Those who oppose it say it displaces a system of checks and balances and that the city’s professional staff must remain apolitical. If you’re registered to vote in the city of Miami Beach, you’ll have a say on a $439 million bond that would fund public safety, parks improvements and neighborhood infrastructure upgrades. This is pretty much Miami Beach’s version of the Miami Forever bond that city of Miami residents voted on and passed last year. The city of Miami Beach proposal would consist of parks and beach improvements ($169 million), neighborhood and infrastructure projects ($198 million) and public safety ($72 million). You can see the exact breakdown here. Homeowners would likely pay an extra $60 to $100 a year for 30 years for every $100,000 of taxable value they own. Bottom line: Supporters say this bond is necessary to upgrade Miami Beach and protect quality of life. On the opposite side, opponents argue they don’t want to increase their taxes. You can’t have a say on any of these important ballot items if you don’t show up at the polls. I encourage you to vote early, which runs from October 22nd through November 4th. If you vote early, you can vote at any of the early voting sites in Miami-Dade. Plus, there are a bunch of new polling sites, including FIU’s Sweetwater campus and Miami Dade College’s Kendall and North Campuses, making it even easier to do so. Prefer to vote at home? The deadline to request a vote-by-mail ballot is October 31st. Otherwise, if you prefer Election Day voting on November 6th, check your precinct here. You can generate your own customized sample ballot here. Dawn Shirreffs is director of public affairs for The Miami Foundation.